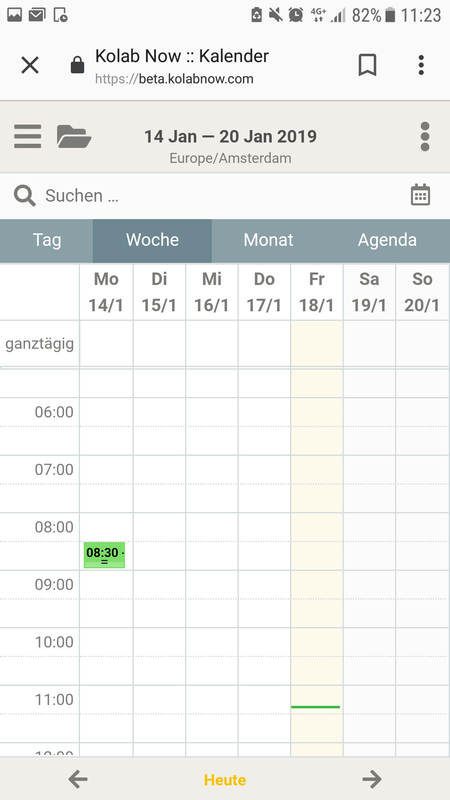 When having saved an event in the view, it is not visible what event it is, since the time frames cut off any explanation, due to the size of the smartphone view. Create an event in the weekly view. Expected result: Only to see that an event is planned for that time slot, since more information would not fit into the small space. Actual result: A cut-off window, confuses the whole layout and you can´t read what the event is. Please clarify the "expected result"
EsIsl moved this task from In Progress to Done on the UX Seminar WS17 board. bohlender closed this task as Wontfix.